Rachael Sage : "NEW DESTINATION" EP AVAILABLE NOW! "NEW DESTINATION" EP AVAILABLE NOW! 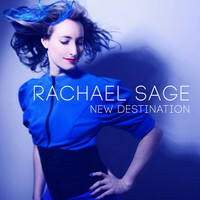 Rachael Sage's brand-new EP "New Destination" is available now! This eclectic 4 song recording redefines Sage's string-heavy alt-pop within a more adventurous, contemporary setting, with "songs that feel like chapters in a well-written story" (indie-music.com). Featuring members of her touring band The Sequins and produced by Rachael Sage and Barb Morrison (Deborah Harry, Rufus Wainwright), it was recorded and mixed by Grammy® Nominee John Shyloski (Stephen Kellogg, Seth Glier) and Grammy® Winner Andy Zulla (Megan Hilty, Kelly Clarkson). Purchase it on iTunes or in the MPress Store.